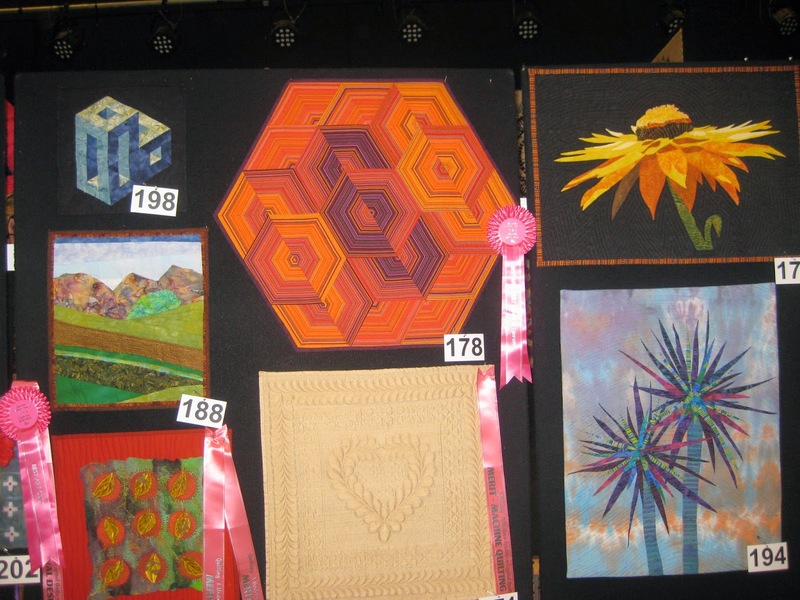 A very busy weekend for our local Lower Hutt Quilting club with our 'Quilting a Modern Tradition' exhibition. It was held in the new Performing Arts building at Sacred Heart College in Lower Hutt. She is running classes on her technique. 5 Days and 5 Nights in New York by Tracy Carew. Woollen fabric with a modern twist. workout the name of the quilt or artist. Dresden Plate challenge - Game of Hydrangeas by Sandra Clark. Its three D effect is hard to see in this photo. Beautifully made. group quilt. I love the colour and layout. Dresden plate challenge - My Dandelion phase by Tracy Carew. So innovative. Dresden plate challenge - I see fire by Adrianne Reid. Very clever and great colour work. Winner of the Dresden Plate Challenge - Dresden Bloom by Lyn White. Scroll into the flower petals - beautiful hand work and beautifully executed. Caravan by Liz Cocker. 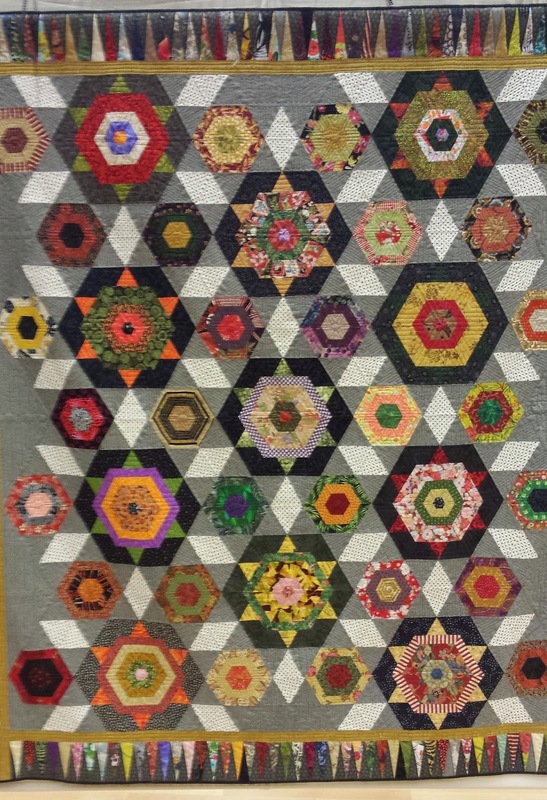 Real fun quilt with great colour. Golden Wedding Anniversary by Rayna Clinton. Best wall hanging made by one person. 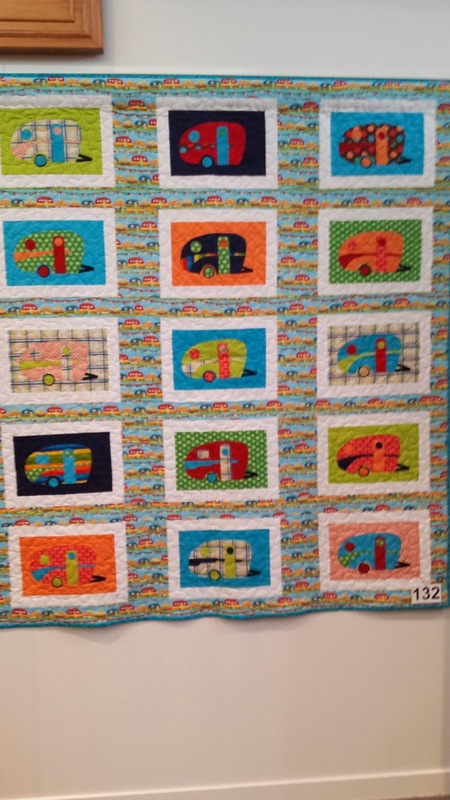 Hope you enjoyed looking at these quilts. There were 221 entries. Great weekend.